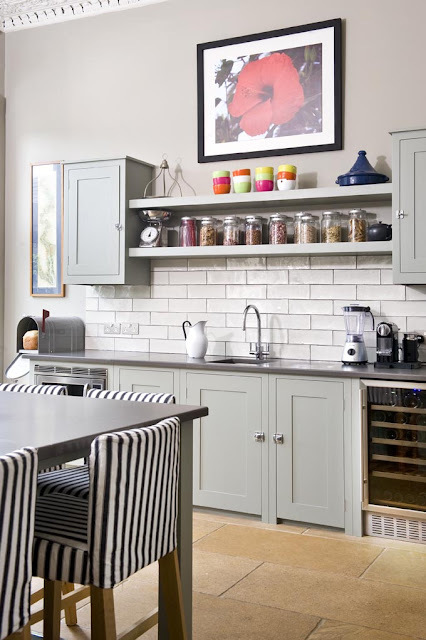 Open shelving is not only great if you are looking to add a bit charm into a space but is also convenient, no opening of cabinet doors or drawers is needed, simply reach over and grab. Of course this also means that everything on the shelves are exposed to all eyes. One may presume that keeping their open shelving will be quite simple because they are in fact a very tidy person- this is what I thought, but I quickly learned that there are a few things that can make open shelving belonging to the tidiest of people, cluttery and messy looking. And so, while I am a huge fan of open shelving and use it in my home almost wherever I can, the cluttery mess that can come with it is a very real issue, there is a fine line between neat & charming and just downright messy. 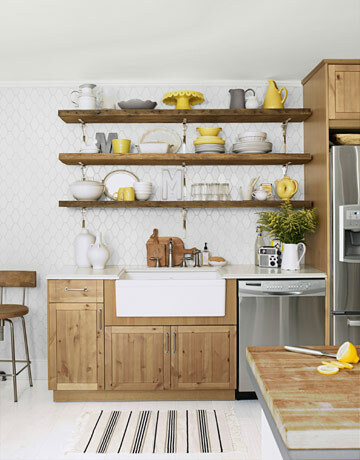 Here are a few pointers on how to pull off and what to stay away from when considering open shelving for a space in your home. 1. 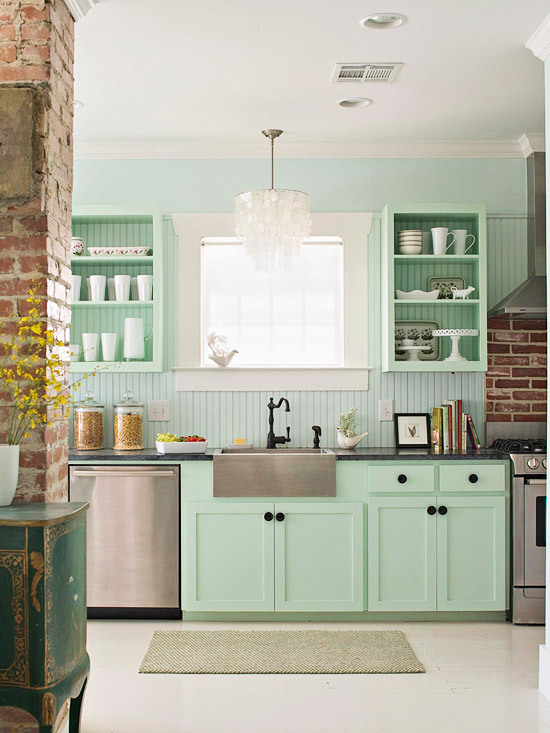 Have a color scheme in mind- This will keep it looking organized and thought out. 2. Give the shelved items some space - Don't put the items on your shelf so close together they don't have room to breath, this will automatically create a cluttered look to your shelves. 3. Jar, box or basket sets is good - If you are opting to store some items in containers, picking same containers is a must, once again, it will keep it looking organized and thought out. 4. The simpler the better - Just because you've got all that shelf space doesn't mean you have to pack it up from left to right, top to bottom, unless you want to look like a hoarder.